Joseph White the owner of Maple Knoll Builders works on one of the buildings at the Belfast Cohousing and Ecovillage in 2011. 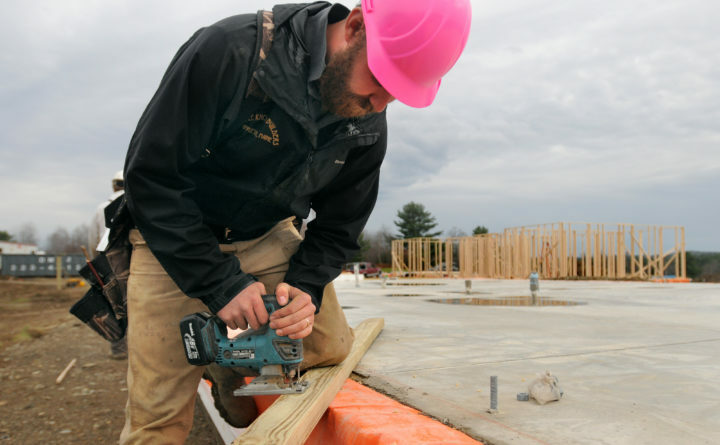 Sentiment among U.S. homebuilders rose for the first time in three months amid a decline in borrowing costs, a sign that housing may stabilize in the year ahead even as the industry remains in a broad slowdown. Builder sentiment in the Northeast jumped the most in four months, and increased in the West. The South was unchanged while the Midwest slipped to a three-year low.